Why do people assume they can’t use fairy lights all year round? Like most people, putting away their Christmas decorations can make you sad as one-year ends and the next one begins. But that doesn’t mean you can’t carry your holiday decorations into the New Year. 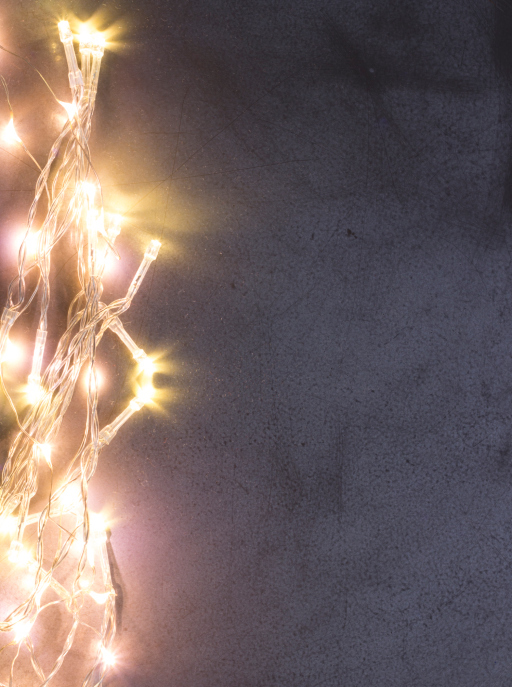 Twinkle lights, or fairy lights, can be used for both Christmas decorations and all year round light in your apartment. But how can you use them without people thinking they are trashy? By following our tips! While it may seem obvious to use fairy lights in the bedroom, the sparkly lights can bright up any space. Hand icicle lights around window your window frames or use strand lights around the headboard of your bed to give your room some ambiance. Twine the lights with colored gauzy fabric like tulle for some color. These lights will give your bedroom enough light to curl up with a good book and enough ambiance to cuddle up with a loved one. Get rid of those ugly store bought picture frames and use fairy lights to hang your pictures. Use push pins or a temporary adhesive to pin up the lights and pictures. The lights will draw attention to your favorite family and friend moments while adding light to your space. You can also hang them up clothespin-style for an aesthetic appeal. Remember that clear vase in your cabinet that is woefully underused? Fill that with some fairy lights and put it under on your side table. It will bring in light for that dinner party you want to host. Choose some battery powered lights and use a glass bowl on your coffee table to brighten up your living room. A quick visit to the thrift shop may reveal some interesting painting or maps that could be hung on your wall. Use a map with fairy lights to dot places you want to go or have been. Show off features in a painting or a vision board so you keep your goals at the forefront of your mind. Fairy lights aren’t just for Christmas trees and railings. Use them to bring light to your Harborside Village Apartment all year round! Living with Roommates at Harborside Village! This entry was posted on Sunday, January 31st, 2016	at 6:16 pm	. Both comments and pings are currently closed.